After breakfast drive to Jaipur. On arrival in Jaipur check-in at hotel. 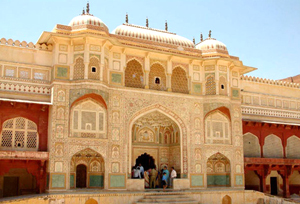 Capital of Rajasthan Jaipur was founded by Maharaja Sawai Jai Singh in 1728 A.D. It is also called Pink City because most houses in old city are pink colored. 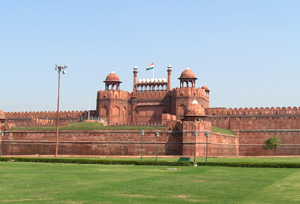 The city is surrounded by thick wall 20 feet high and 9 feet wide with eight gates. Ajmeri gate and the Sanganeri gate in the south, Chandpole gate in west and the Ghat Darwaza in the east are the main gates. The city is surrounded by the hills except in the southwest. Fort and the temples can be seen on the hills. Overnight stay at hotel. In the morning visit the Amber Fort ascend fort on elephant back. Amber was the ancient capital of Kachawaha dynasty for long time ago. 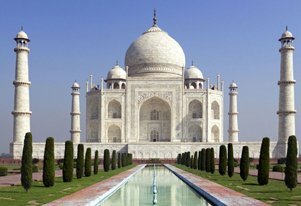 It was moved to newly created Jaipur. Visit the Sheesh Mahal (Hall of victory) which is a hall glittering with mirrors. Evening transfer to railway station to connect overnight train for Varanasi. Overnight at board. Upon arrival in Varanasi meeting and assistance followed by transfer to hotel. Rest of the day free for your own activity. Overnight stay at hotel. In the morning take a boat cruise at river Ganges to observe the life of pilgrims who pray by the Ghats of Varanasi. Next go for an excursion to Sarnath, located 10 Km East of Varanasi. It is one of the major Buddhist centres of India. After attaining enlightenment, the Buddha came to Sarnath where he gave his first sermon. Visit the deer park and the museum. Return back to Varanasi. Stay overnight at the hotel. Breakfast at the hotel, evening transfer to railway station to connect train for Lucknow. Overnight at board. Upon arrival in Lucknow meeting and assistance followed by transfer to hotel. Afternoon visits. 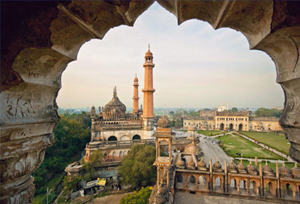 Lucknow was the 18th century capital of Nawab Wazirs & the centre of culture and tradition. Visit the great Imambara, Jama Masjid, Picture gallery, the Clock Tower, Roomi Darwaza, Residency & Dilkusha Palace. Overnight stay at hotel. Breakfast at the hotel, evening transfer to railway station to connect overnight train for Delhi. Overnight at board. Upon arrival in Delhi meeting and assistance followed by transfer to international airport to connect flight for onward destination.